Dr. Schuurman worked for several years in industry before spending time in academia. His interest in computers began in his early teens with his first computer, a Timex-Sinclair ZX-81. He is also interested in the bigger picture (metaphorically, not in the number-of-pixels sense) and the various issues related to faith and technology. He has taught computer science at both Redeemer University College and Dordt College prior to teaching computer science at Calvin College. He has participated in various service projects with computing in developing countries. He is author of the book Shaping a Digital World and is available to speak to groups as time allows. Research interests include robotics and computer vision, embedded systems and IoT, as well as faith and technology issues. Professional memberships include: IEEE (Senior Member), ACM and ACM SIGCSE, ACMS, CSCA and the ASA, and the Christian Engineering Society. I am currently serving as a book review editor for Perspectives on Science and Christian Faith covering topics on computers, engineering, and technology. Some recent publications are listed below, but a more extensive list of publications and presentations are also available. Derek C. Schuurman, Shaping a Digital World: Faith, Culture and Computer Technology, InterVarsity Press, June 2013. (companion website). Derek C. Schuurman, "Responsible Automation: Faith and Work in an Age of Intelligent Machines" in The Wonder and Fear of Technology: Commissioned Essays on Faith and Technology, edited by David H. Kim, Center for Faith & Work, 2016, pp. 42-56. Derek C. Schuurman, "Seeking Wisdom in Engineering and Computer Science" in Where Wisdom May be Found, edited by Ed Meadors, Wipf & Stock. Currently in final publication with expected release in 2019. Derek C. Schuurman, "Technology and the Biblical Story", Pro Rege, Vol. 46, No. 1, September, 2017, pp. 4-11. Derek C. Schuurman, "Approaches to Christian Education: From Elusive Towards a Larger and Deeper Approach", Pro Rege, Vol. 44, No. 3, March, 2016, pp. 14-20. Steven H. VanderLeest and Derek C. Schuurman, "A Christian Perspective on Artificial Intelligence: How Should Christians Think about Thinking Machines? ", Proceedings of the 2015 Christian Engineering Conference (CEC), Seattle Pacific University, Seattle, WA, June 2015, pp. 91-107. Derek C. Schuurman, "Introducing Open Source and the Raspberry Pi to Schools in Developing Nations", Perspectives on Science and Christian Faith, Volume 67, Number 1, March 2015, pp. 50-53. Derek C. Schuurman, "Step-by-step design and simulation of a simple CPU architecture", SIGCSE '13 Proceeding of the 44th ACM technical symposium on Computer science education, 2013. Derek C. Schuurman, "Technology Has a Message", Christian Educators Journal, Volume 51, Number 3, February 2012, pp. 4-7. Derek C. Schuurman and Arnold E. Sikkema, "Christian Engineering Education in Canada", 2011 Proceedings of the Christian Engineering Education Conference (CEEC), June 2011, pp. 167-175. Bryan W. House, David W. Capson, Derek C. Schuurman, "Towards Real-Time Sorting of Recyclable Goods Using Support Vector Machines", Proceedings of the IEEE International Symposium on Sustainable Systems and Technology (ISSST), May 2011. Derek C. Schuurman, "Modern Devices and Ancient Disciplines", Faith Today, November/December 2017, pp. 39-41. Connecting Bytes and Beliefs: A Personal Story, a talk given at a Dordt College Engineering Society Dinner. 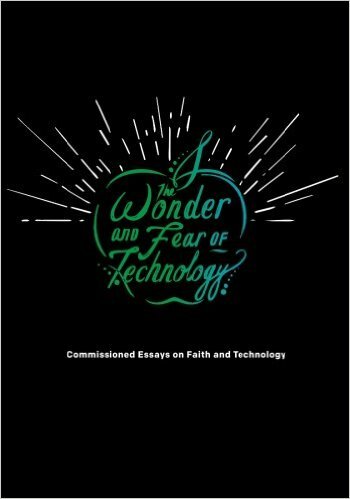 Technology and the Biblical Story, a talk given at the 2016 Faith & Work Conference, Redeemer Presbyterian Church, New York City, November 2016. Responsible Automation, a talk given for the Hamilton Science and Faith Forum and the Canadian Scientific and Christian Affiliation (CSCA), McMaster Divinity College, March 3, 2017. Interview on the Relationship Between the Christian Faith and Technology (translated into Portuguese), June 22, 2016. Technology and the Church, God and Nature Magazine, Fall 2015. The Meaning of Technology, InterVarsity's Emerging Scholars Blog, July 24, 2015. Some articles published in "In All Things". Some articles published in Christian Courier. Some tutorials and manuals related to teaching computer science. Discerning a Christian Response to AI, Christian Perspectives in Science Seminar, Calvin College, November 30, 2018. A radio interview on "Karl and June" broadcast February 27, 2015 on Moody Radio, 90.1 FM in Chicago. A TV interview broadcast on 100 Huntley Street, October 29, 2014. An interview broadcast on January 31, 2014 on WORD FM in Pittsburgh. An interview (part 1 and part 2) with KSIV St. Louis, MO, "Encounter" broadcast August 21, 2013. (note: this is made available on the condition that it may not be sold in any part for profit). A radio interview broadcast on July 9, 2013 on WLQV Faith Talk 1500 in Detroit. Technology and the Biblical Story, Bethel University convocation chapel talk, February 22, 2017. Technology and Liberalism, panel talk for the Faith and Democracy in America conference, Calvin College, December 6, 2018.